DENVER (March 13, 2017) – Deft Communications, Denver-based communications consulting firm specializing in communications training, content creation, employee engagement and employee activation is proud to announce two new clients in consulting and agriculture. “We are thrilled to work with these organizations to help them achieve their business and communications goals,” said Deft Communications Principal Jon Ekstrom. 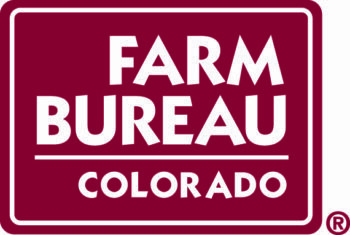 Colorado Farm Bureau, a leading Colorado trade association that seeks to promote, protect and represent the business, economic, social and educational interests of farmer/rancher members and their communities; and to enhance the agricultural industry in Colorado, has hired Deft Communications to provide communications training for its group of young leaders. PolicyWorks America, LLC, a Denver-based consultancy specializing in advocacy for conventional fuels and energy production, creation of winning political strategies and advancement of corporate communication objectives, has retained Deft Communications to provide communications, writing, and branding support. About Deft Communications: Deft Communications is a Denver-based communications consulting firm specializing in communications training, content creation, employee engagement and employee activation. We call ourselves “Deft” because it guides our approach to every client we work with, and each project we do. Any communications project your business undertakes should be in service of helping to achieve your business goals. Being “Deft” means understanding those goals, and tailoring our approach to stay nimble in a constantly evolving environment, being resourceful, and maintaining a sureness of touch. We are savvy communicators with more than two decades experience in a variety of disciplines and across communications platforms. DENVER (July 16, 2015) – Deft Communications, Denver-based communications counseling firm specializing in communications training, content creation, employee engagement and employee activation is proud to announce three new clients in the oil and gas sector and real estate. “We are honored to work with these organizations to help them achieve their business and communications goals,” said Deft Communications Principal Jon Ekstrom. The Peak Properties Group, a full-service, Denver-based real estate team, has hired Deft Communications to provide copywriting, content generation and promotional strategy. Vital for Colorado, a broad coalition of business, civic and economic development leaders along with thousands of Coloradans from across the state, brought together to support and promote the benefits of energy production in Colorado, has chosen Deft Communications to promote expanding the availability of US oil and natural gas. Whiting Petroleum, an independent exploration and production company with an oil focused asset base, has retained Deft Communications to enhance and implement an employee education and engagement program for its employees in Colorado and North Dakota. About Deft Communications: Deft Communications is a Denver-based communications counseling firm specializing in communications training, content creation, employee engagement and employee activation. We call ourselves “Deft” because it guides our approach to every client we work with, and each project we do. Any communications project your business undertakes should be in service of helping to achieve your business goals. Being “Deft” means understanding those goals, and tailoring our approach to stay nimble in a constantly evolving environment, being resourceful, and maintaining a sureness of touch. We are savvy communicators with more than two decades experience in a variety of disciplines and across communications platforms.